If you’ve taken a look at our recycling guidelines, you’ve probably noticed the last point: “no food waste or hazardous material can be accepted! !” We’re pretty adamant about it. 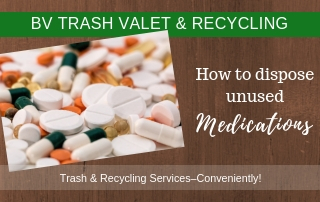 In fact, you’d be hard-pressed to find a trash and recycling company anywhere that allows hazardous waste to be picked up, and for good reason. In your trash, hazardous waste can be a danger to the environment or anyone who handles your trash pick-up. 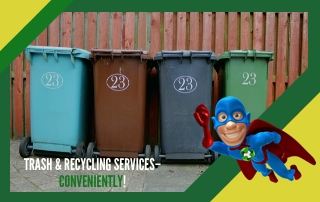 In your recycling, it can also corrupt all the other recyclable materials, making everything in the bin unusable. According to the EPA, hazardous waste is: “a waste with properties that make it dangerous or capable of having a harmful effect on human health or the environment.” Things like bleach or chemically created household cleaners are often considered hazardous waste. However, hazardous waste is not exclusive to that. Pesticide and rat poison count as hazardous waste, as does gasoline, glue, antifreeze, any kind of firearms or fireworks, oil and lead paint and many more items. If you wear gloves to use it, or need to use caution when using it, chances are it doesn’t belong in your trash. In fact, most trash and recycling companies won’t even accept containers that once held hazardous waste, even if they’re empty. The problem with much of this hazardous waste generally comes down to the chemicals involved. 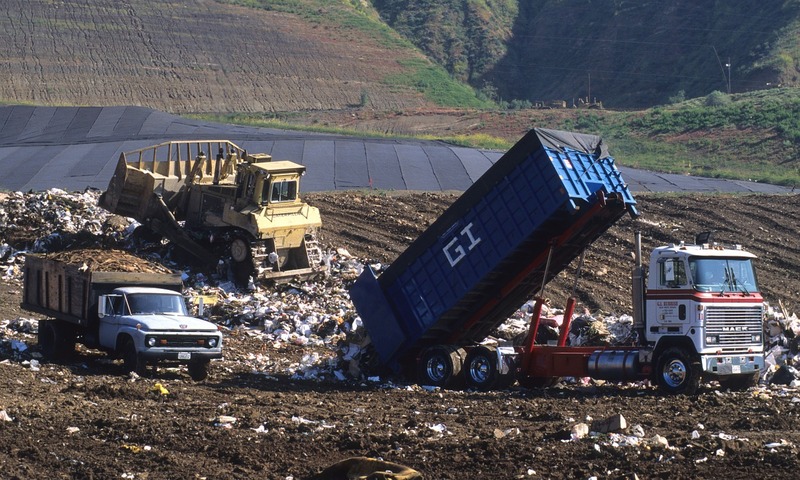 While not all chemicals react explosively to one another, there is the risk that a mixture of chemicals could cause a fire inside the garbage truck or inside a landfill, causing catastrophic damage. In some cases, leaked chemicals could also have a negative impact on the ozone layer or the other contents collected for trash and recycling. This is especially dangerous when it comes to recycling. 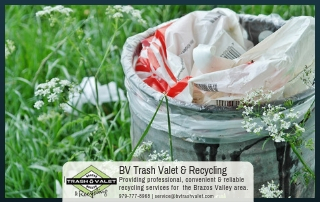 Even the most useful recyclables will have to be thrown out if there’s any potential that they’ve been contaminated with hazardous waste. In some cases, you might not even notice the potential for leakage, as with lead acid batteries. They may seem sealed, but in the trash or recycling bin they can leak small amounts of acid, contaminating the batch. Of course, that leads to the most relevant question: if you can’t throw your hazardous waste away or recycle it, what do you do with it? Storing it in your home seems like an impractical idea that would suit no one, and could become dangerous to your home as well. 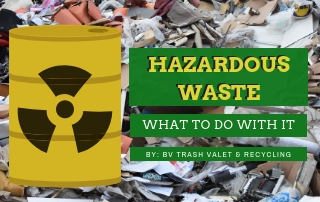 Fortunately, there are collection centers specifically designed to collect hazardous waste. Some even specialize in specific types of hazardous waste so that you know exactly what to send. You can find the closest to you by searching Earth 911 Database, as well as reaching out to your city for any local resources. If you’re unsure whether or not something can be thrown away or recycled, check out our acceptable materials page. 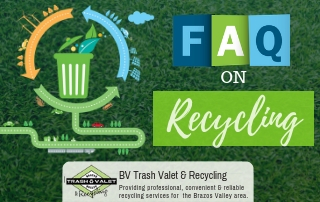 At Brazos Valley Trash Valet & Recycling, we accept plastics #1-7 and a wide range of non-hazardous materials due to our single stream system. Contact us today for more information.